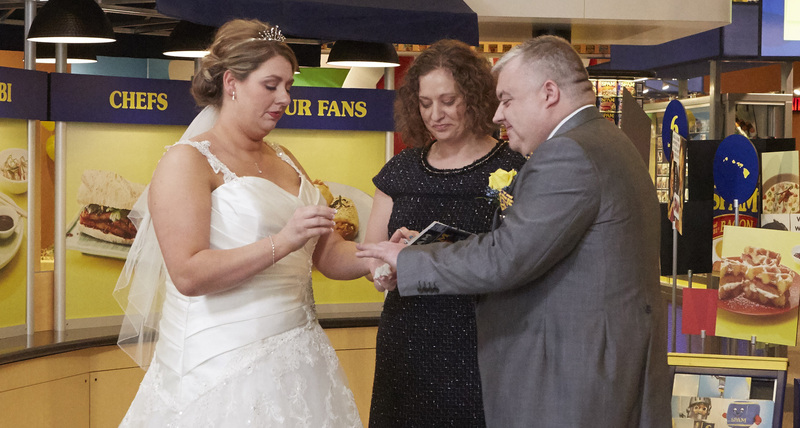 Today, Mark I Love SPAM Benson – who last year legally changed his name as a declaration of his love for the brand - wed his fiancée, Anne Mousley, marking the first wedding to be performed at the world-famous SPAM® Museum. The newlyweds, who hail from Liverpool, U.K., made the journey to Austin, Minn., to say their vows in the one-of-a kind setting adorned with iconic brand memorabilia. 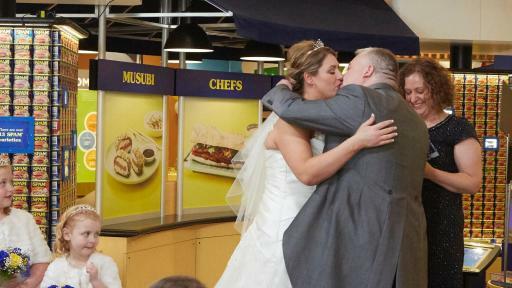 The undeniably unique wedding was officiated by SPAMinister™ Jaynee Sherman, senior brand manager, Hormel Foods International Corporation, and took place among the SPAM® Museum’s exhibits showcasing the iconic brand’s pop culture influence, global affinity and historical relevance. 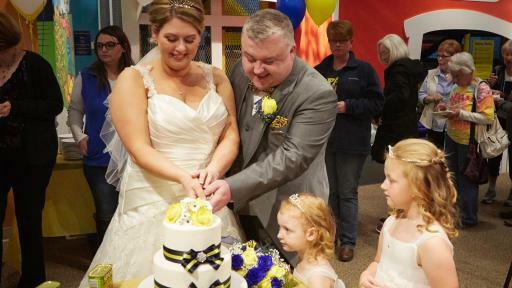 The groom’s love for the brand was brought to life through a variety of wedding day details including SPAM® brand colored bouquets of roses, a SPAM®-themed wedding cake, and SPAMatizers™ for guests to enjoy following the ceremony. Mark’s love for the SPAM® brand is rooted in family tradition, with his grandfather and uncle both having worked at a Liverpool SPAM® manufacturer, and the brand has become a part of many fond memories over the years. 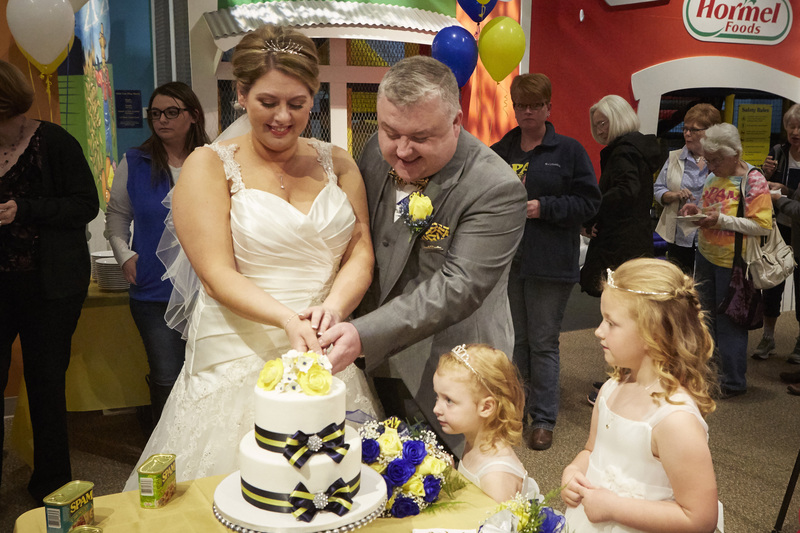 Knowing her groom would love nothing more than a SPAM® wedding, Anne reached out to the brand with the request to be the first couple to ever celebrate their wedding at the SPAM® Museum. 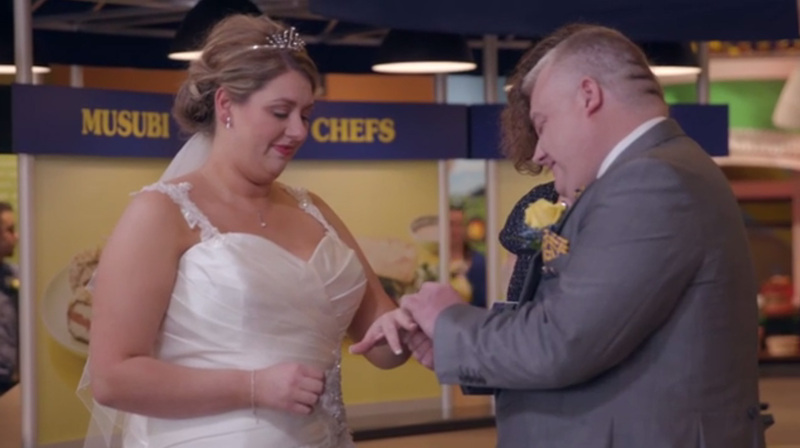 After learning about the couple’s story and Mark’s love for SPAM® products, the makers of SPAM® agreed to make it a reality and Anne surprised Mark with the exciting news on Valentine’s Day. As a gift to the bride and groom, Hormel Foods is sending them and their two daughters to Waikiki, Hawaii, for the 15th annual SPAM JAM® Festival on April 29. Their VIP experience will include access to the more than 20 local vendors creating their famed SPAM® dishes, enjoying Hawaii’s popular entertainment and exploring the island. The SPAM® Museum is located at 101 3rd Avenue NE, Austin, Minn. Please visit http://www.spam.com/museum for further details. Hormel Foods Corporation, based in Austin, Minn., is a global branded food company with over $9 billion in annual revenues across 75 countries worldwide. Its brands include SKIPPY®, SPAM®, Hormel® Natural Choice®, Applegate®, Justin’s®, Wholly Guacamole®, Hormel® Black Label® and more than 30 other beloved brands. The company is a member of the S&P 500 Index and the S&P 500 Dividend Aristocrats, was named one of “The 100 Best Corporate Citizens” by Corporate Responsibility Magazine for the eighth year in a row, and has received numerous other awards and accolades for its corporate responsibility and community service efforts. In 2016, the company celebrated its 125th anniversary and announced its new vision for the future - Inspired People. Inspired Food.™ - focusing on its legacy of innovation. For more information, visit www.hormelfoods.com and http://2015csr.hormelfoods.com/.